It is no secret that when it comes to travelling, Millennials value experiences. As these travellers, ages 18-35, flood the travel market, hostels are rising to the occasion to show they’re more than just a place to store a backpack and grab some shut eye. By repurposing unusual property sites, harnessing celebrity status, and utilising some eyebrow-raising marketing techniques; many hostels are proving their destination appeal in an evolving and robust youth accommodation market. For example, in Berlin, Circus Hostel can lay claim to the world’s first (and only) ‘Hoffstel’. 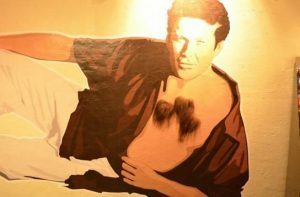 The hostel is a shrine to actor David Hasselhoff, made famous as Mitch Buchanon in the 90’s show Baywatch. The building has apparently been ‘blessed’ by the Hoff and features his memorabilia as well as a wall mural reminiscent of his Baywatch days. The Berlin hostel scene also recently made headlines for a hostel owned by the North Korean government, but that has since been shuttered. For a less light-hearted overnight stay, a hostel has now opened in one of the most radioactive areas on the planet – the Chernobyl exclusion zone. The Ukranian government recently opened the 50-bed hostel and expansion plans are already in the works. The city of Pripyat has been abandoned since the nuclear disaster of 1986, but it is becoming increasingly popular for visitors from all over the world. Tourists often embark on tours from Kiev and are allowed in for short periods. They are checked for radioactive particles upon their departure. In the heart of Amsterdam, one hostel somewhat resembles a fallout zone, and they’re quite proud of it. Hans Brinker Amsterdam touts itself as ‘The Worst Hotel in the World’. In case you thought the title was just an advertising gimmick, they promise dirty sheets, flooded bathrooms, terrible lockers, and a haze of marijuana from nearby coffee shops. Rooms start at around €25 per night and the property doesn’t have any trouble staying booked. However, reservations don’t seem to be an issue for most hostels in the city. A recent study showed a 74% growth in the Amsterdam market over the past 5 years – a positive sign for the youth accommodation market as a whole. Don’t think that today’s hostel revolution is strictly limited to the bizarre locations and bold claims to fame. Hostels are also transforming the industry by making art, fashion, and design an integral part of the budget accommodation experience. The recently opened Jam Hotel in Brussels features family rooms and dormitories swathed in concrete and leather in a ‘brutalist design’ concept. Plus, chic hostel chains such as Generator, Clink, and Accor are consistently lauded for their cutting-edge concepts and partnerships with innovative designers, artists, and even millennial-geared brands. Other hostels are making their focal point eco-friendly, appealing to environmentally conscious Millennials and GenZ (a reminder that their concerns are not exclusive to avocado toast.) This year Hostelling International Canada revamped its brand to highlight their ‘sense of community and consciousness.’ Hostelling International USA rolled out their ‘Pack your Impact’ campaign to bring awareness to UNWTO’s 2017 Year of Sustainable Tourism. The US hostel non-proft has also committed to greening their properties over the past several years, with all of their hostels meeting sustainability standards and most listed among the greenest hostels internationally. It won’t be long before Millennials age out of backpacking and into bleisure trips, and GenZ travellers disrupt the youth travel industry with their unique values and interests. Additionally, the youth travel market continues to grow in numbers, spending power and diversity. Industry uptick in recent years has proven youth accommodation providers are, at the very least, adaptive. However, if the offerings currently capturing the market are any indication – it is safe to say the hostel industry is weird, wild and wonderful enough to keep young travellers coming back.